CompanDX Limited, the Nottingham Trent University spinout applying novel bio-informatics technology to the issues of personalised medicine, is pleased to announce the raising of 39,600,000 Renminbi (CN¥) for development of products in China. CompanDX was advised by Team Kapital: TK founder Simon Haworth is currently operating as CEO of CompanDX Limited. The nature of Chinese funding support is creative to UK eyes: cash is being provided by both government and private sources on a non-dilutive basis. ‘Investors’ gain a proportion of downstream revenue from successful products sold in China, rather than equity in the company. Pace of product development is also enhanced in China with work accelerated in comparison to UK and US markets by the nature of the regulatory regime, and the willingness of major regional Science Parks to provide funding for accelerated development (for products relevant to the Chinese marketplace and regulations). Details of the CompanDX China office will be released shortly. CompanDX expects to generate revenue from Approved products in under three years. If you are interested in raising funds in China then Simon is happy to help. CompanDX is a spinout from the School of Science & Technology at Nottingham Trent University and was established by Professors Ball and Rees in 2009. The company originally secured investment from the Lachesis and Mobius funds and marketed support services for research on a Fee-for-service basis. In 2012 the team re-focussed the business beyond oncology to wider applications in the fast-growing field of personalised medicine through drug re-development and trial involvement for all major indications. The Management Team includes Dave Tapolczay, Chairman (CEO of MRCt), Dr Simon Haworth CEO (Founder of Team Kapital and Team Ventures), plus Prof. Graham Ball (Director) and Prof. Robert Rees (Director) of the J van Geest Cancer Research Centre in Nottingham. CompanDX is located at BioCity Nottingham and the new Stevenage BioScience Catalyst. 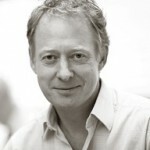 Simon Haworth is the founder of Team Kapital. He has a keen interest in entrepreneurial businesses and global market trends, and regularly chairs major industry conferences around the world. 10 Lessons Learned. My personal list. Copyright © Team Kapital, 2011. All Rights Reserved.